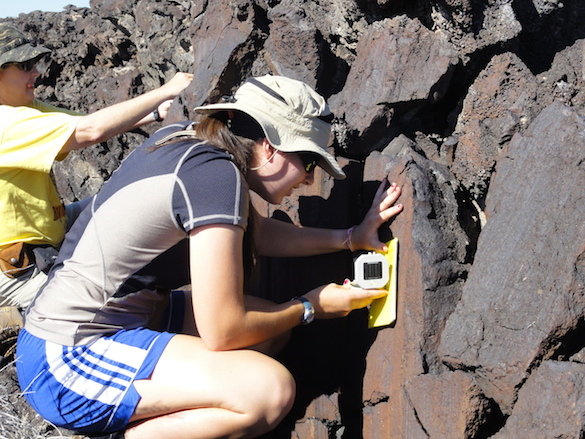 Chloe Wallace and Julia Franceschi use the Trimble GPS to make cm-scale measurements of the topography. 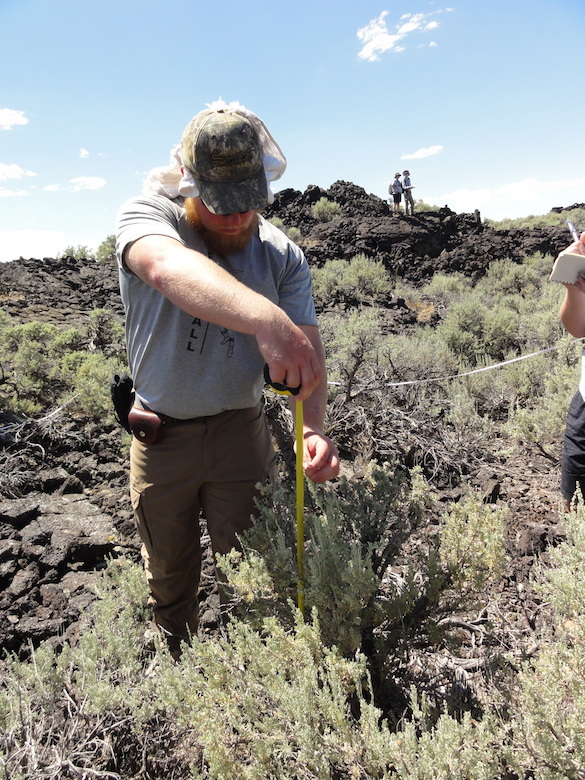 When the plane finally landed in Salt Lake City, Utah, a 2 ½ hour drive took the crew to Fillmore, the location of their field site. The first day, Friday, started around 11AM, but the crew learned quickly that the earlier they started, the less intense the sun (and heat) was. Team Utah meeting to distribute equipment and plan the field day. Like for most groups, the first day was devoted as a get-accustomed-to-the-field day, that entailed some reconnaissance and exploration. The rest of the week was spent doing eight hours a day of research and studies. According to Dr. Meagen Pollock, walking on a’a is “nonsense” and more often than not, each day was faced with new challenges. 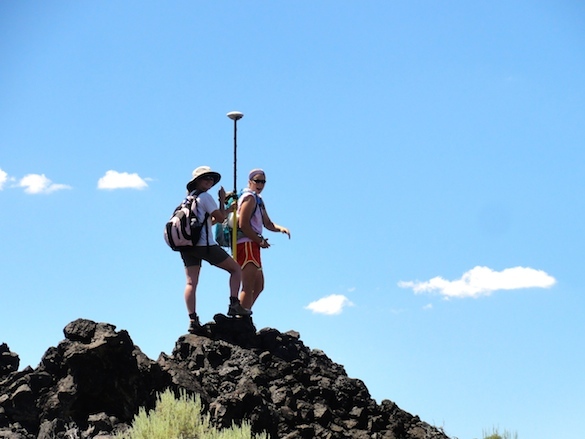 Chloe Wallace and Julia conducted high resolution GPS location and elevation data. 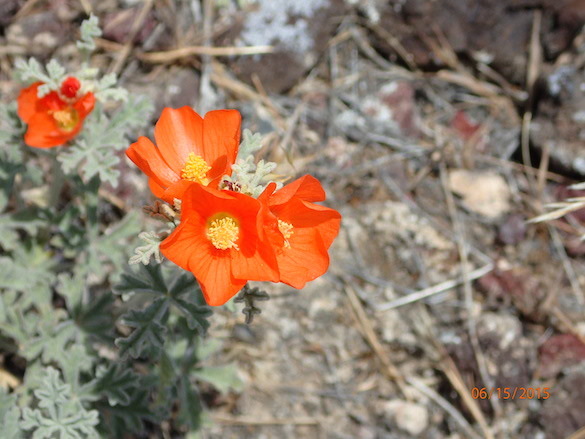 Dan Misinay took photographs and helped Krysden conduct transects to record vegetative cover. 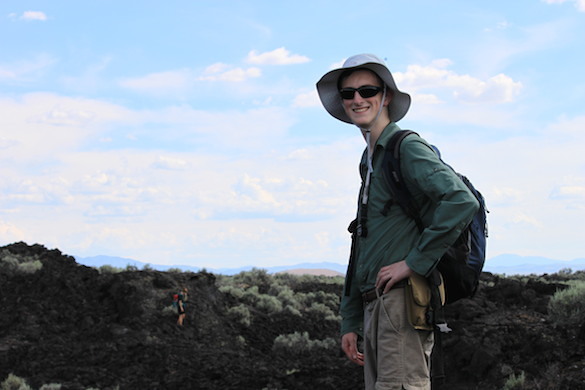 Michael and Kelli spent most of their days mapping the area and attempting to understand volcanic features. 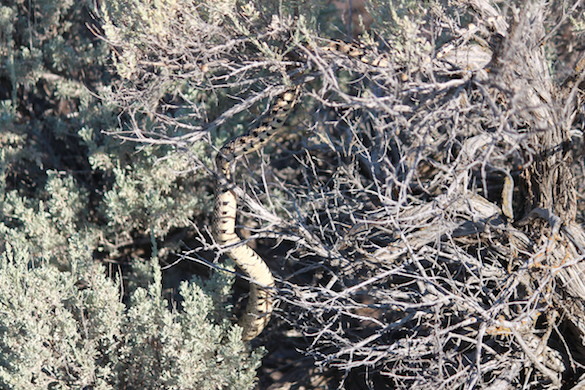 Some days, however, were graced with the occasional snake or rainbow to change up the scenery. It was a successful trip. 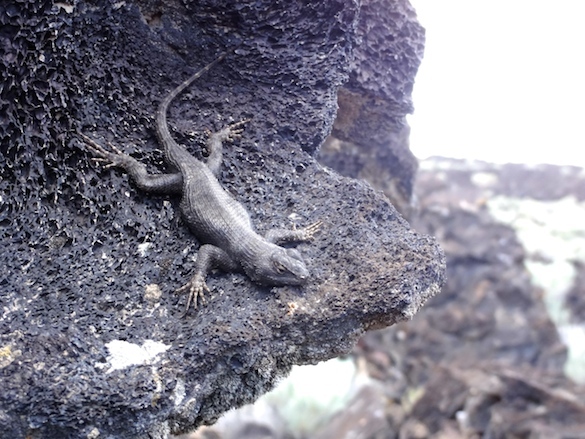 One of our lizard friends. 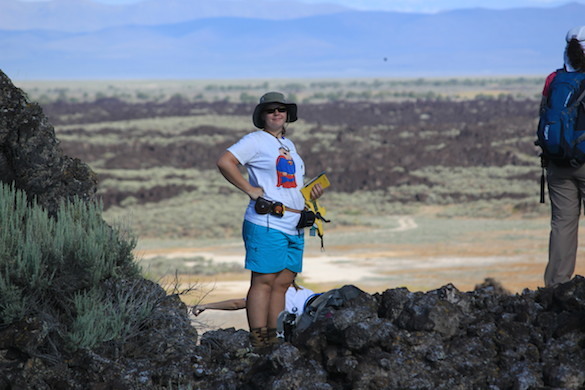 Kelli and Dr. Judge measuring striae. Dan helps Krysden with her vegetation survey. 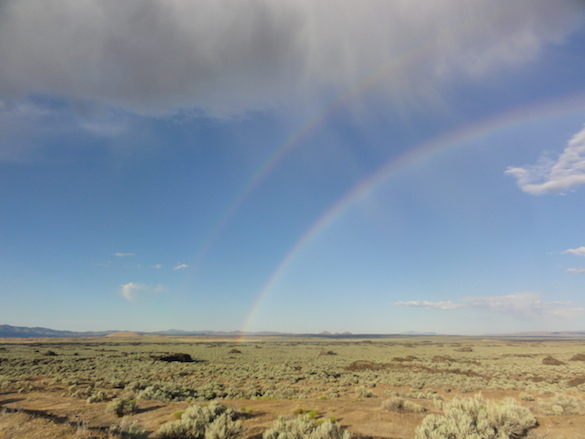 We were treated to a double rainbow over our field site after a light sprinkle in the desert. 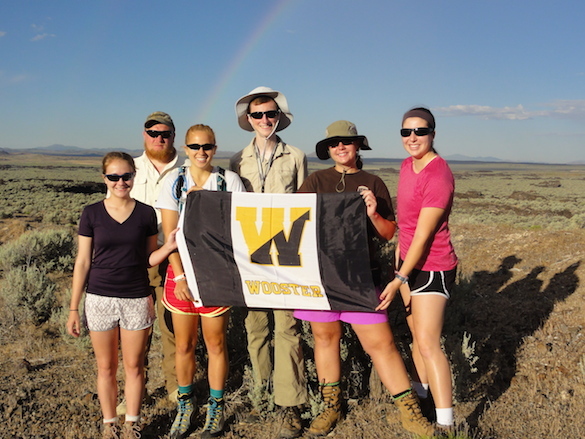 Team Utah proudly representing Wooster Geologists! Nice story and pictures, Team Utah! Was it hot out there?